Richard Kelly Kemick, Caribou Run (Fredericton: Goose Lane, 2016). Paperbound, 96 pp., $19.95. 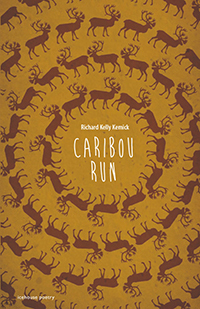 Richard Kelly Kemick's Caribou Run is broadly "about" the Porcupine Caribou herd whose range extends over the northern half of the Yukon and spills into Alaska and the Northwest Territories. 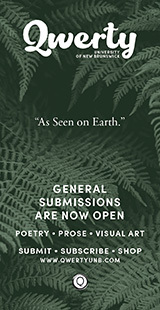 Focusing on one herd matters; it locates and concentrates the poems by providing them the kind of localized detail and depth usually associated with good short fiction. Caribou are interesting not only for their significance to northern ecosystems and Indigenous peoples, but also as a symbol of Canada's northern identity. This is not, however, a book of nature poetry. Kemick ultimately focuses on knowing the ways we process facts and experiences to understand complex things, like a caribou herd that "has acted like an entity for thousands of years" (Kemick takes this epigraph from D.E. Russell's "Range Ecology of the Porcupine Caribou Herd in Canada"). Some of the poems approach the caribou through this kind of scientific and practical knowledge; some are cultural and historical; some are sympathetic, and others empathetic. The play of different ways of knowing is what draws the book together—herds the poems (sorry) into a more coherent whole. Much of the pleasure in this book comes from its mental mechanics. In the section "Aggregation," "Thumbing a Ride on the 93" begins a loosely-linked series. It's a frame-narrative prose poem where the main speaker is picked up on the side of the road by a bus that transfers northern inmates to southern prisons. When asked about caribou and their ability to thrive in the far North, the driver responds: "It's hard country. [...] the still water thrives mosquitoes. You're nodding like you know but you don't know." He then tells a story about rescuing a woman on the side of the highway nearly exsanguinated by mosquitoes. So much of the driver's story remains under the surface—why police left her on the highway and at the mercy of mosquitoes, for example—as it does in good short fiction. Having rescued the girl onto a bus full of human predators, the driver turns back to the caribou: "Those herds are outside all / their lives." This seems like the point: it connects the girl to the first person speaker, picked up by the same bus on the side of a highway, and, empathetically, to what the caribou endure. Then Kemick gives us one more turn that mirrors the girl's rescue from insects into the threat of men: "The minute [the mosquitoes] let up, we'll move in, / kill everything." Caribou herds get so large because they can endure the "hard land" better than humans and thereby escape us. 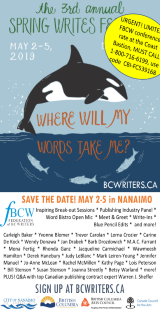 The poem first engages an empathetic response then shifts it from human-as-caribou to human-as-predator to elicit sympathy for the danger we pose from the caribou's ecological perspective. It is one of the most effective poems in the book. 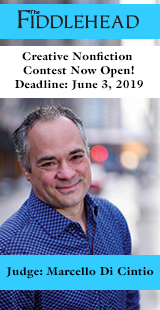 The poems that follow build on connections to hunting, predators, and the interplay concludes with "Amidst the Fog of Blackflies, a Bull Charges" and a neat technical maneuver in a change of tropes. Most of the poem is a sequence of similes comparing the sound of the charging bull to experiences particular to the speaker's life, but the poem ends with metaphor. 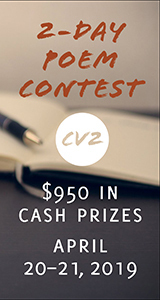 "Collapsing into the creek, the bull crumples. / His breath becoming the sound of you / in the kitchen this morning washing the cutting board; / you come back, lie down, your hair spilling across my pillow / a glacier melting the sand off its skin." The metaphor makes the bed the land, overlays the natural and intimate environments, and reinforces the bull's release from panic to peace. That grouping is one example of how much thought is contained —and recoverable—in the way Kemick assembles the book. The section "Calving" does something similar, building on the minor philosophical justification for empathy that starts the first poem, "The Calving Grounds": "We recognize each other / in the face of other mammals." Tracing the thinking across the poems that follow becomes complex, especially given the braided form and scenes in the long poem "Postpartum from the Perspective of Grade Ten Biology," so I'll have to leave it by simply saying that the poems explore childlessness—specifically the kind that means a loss and not a potential future. Because the book is about knowing rather than expressing, challenging material is conveyed largely with appeals to the mind rather than the heart. I think that's the more difficult path to have pursued and Kemick does it well. I am unapologetically sensitive to any aspect of a first book that makes it sound like a thesis, particularly the combination of grand project with a series of "bona fides" poems in traditional forms. Caribou Run triggered that response with the requisite sonnet, glosa, ghazal, and tanka. The fact Kelly rarely uses characteristic techniques from these forms in the rest of the book made them stick out all the more. The worst part of this sensitivity is that it blunts my attention, and because so much of the pleasure of this book is the interplay between poems; you need your attention to appreciate what Kemick is trying to do. 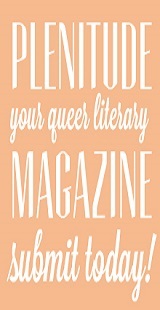 I'm glad to have persevered because the book has admirable range and craft. That would make a successful thesis; I'll read the next book.